I could not resist posting tonight, how could I miss a leap year day :). So I gathered some creativity to make a card. I love the sketch form this week's Freshly Made Sketches, simple enough which worked for me. I saw a card I had made last year on a co-workers desk this morning, I guess I must have really like that one because it insprired me for this card. Can you case your own card? 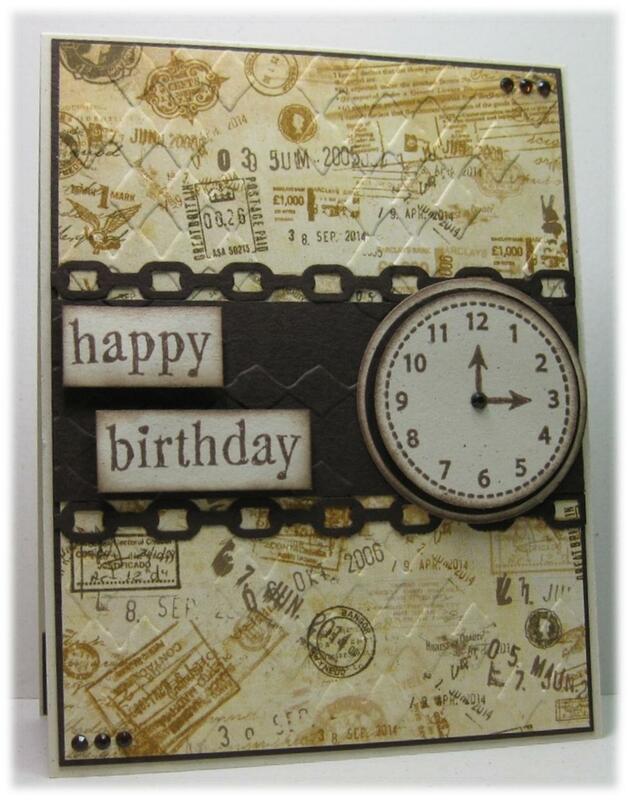 Supplies: Cream and brown card, Designer Paper- My Mind's Eye, TPC- Cardmaking Happy Birthday, Sizzix- die cuts, ﻿Recollections-Pearls. Today's short post is for Merry Monday #9. Aren't these little cardinal adorable, I could not wait to try colouring them. 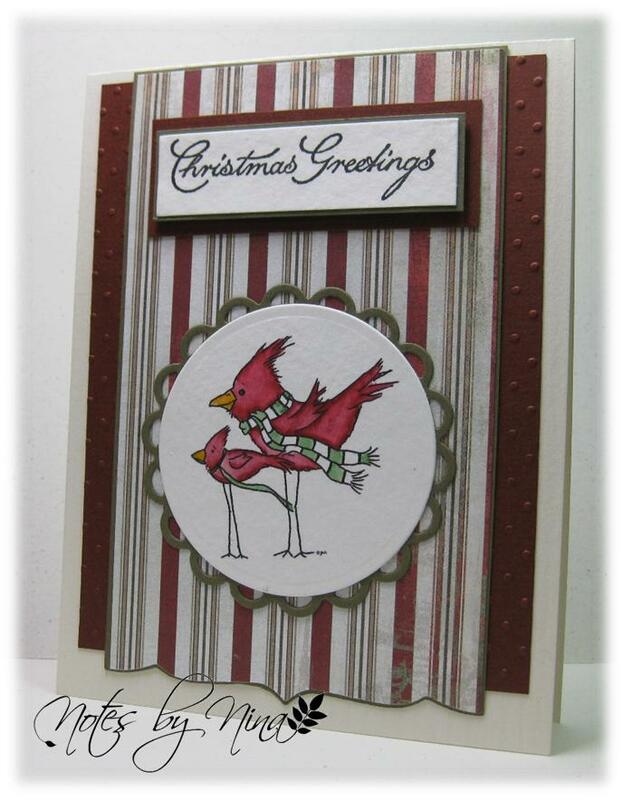 Supplies:﻿ Cream, green and red cardstock, Designer Paper-Basic Grey, Designed2delight-Whimsical Cardinals, Cornish Heritage Farms, Spellbinders die cuts, embossing folders. 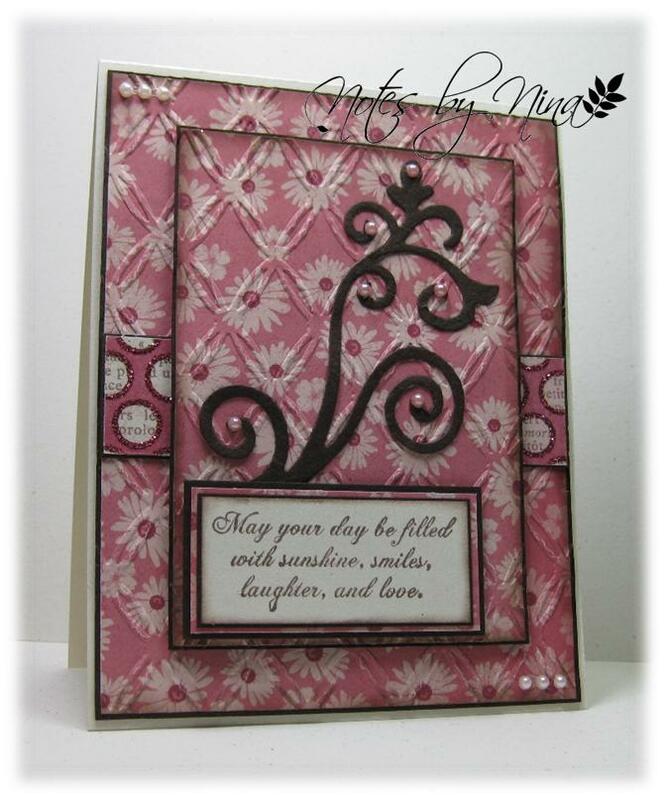 A quick sunday post for the current Freshly Made Sketches, my mojo still seems to be lacking and I have not spent much time in my craft space but I did get this card done today. 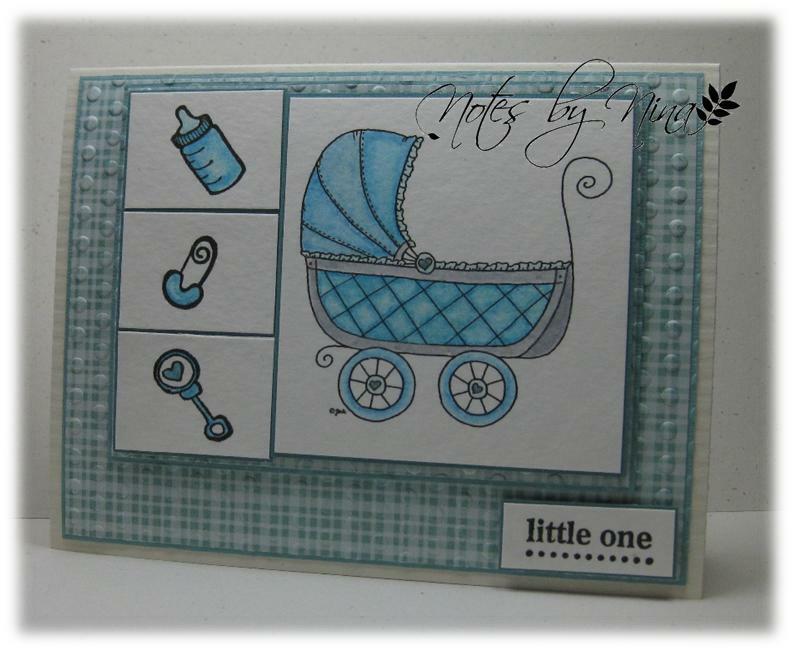 I love this baby buggy so I just had to use in for a baby boy card as well. 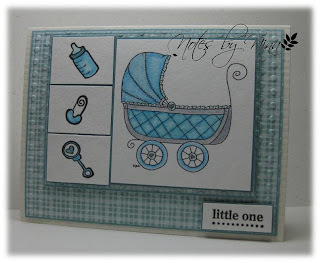 Supplies:﻿ Cream and blue cardstock, Designer Paper-DCWV, Designed2delight-Baby Buggy, Fiskars-New Baby, embossing folders. Wow, I can't believe that it is Friday again already - this week flew by. I love love love how the days are getting longer and that the sun is almost up as I am walking out the door to work. 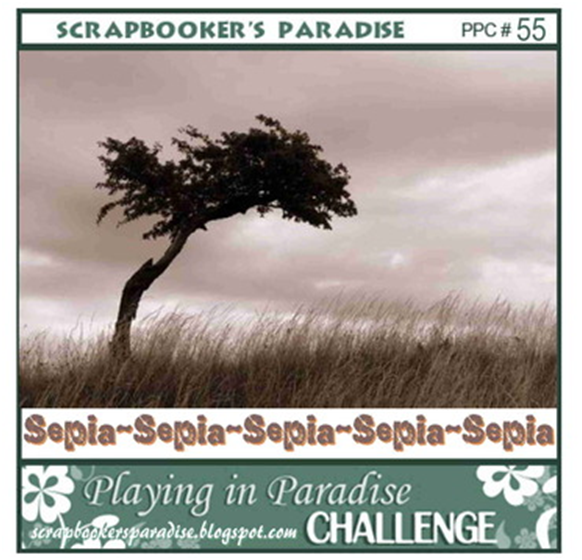 I am the host or hostess for this weeks Playing in Paradise, I love sepia so that was my inspiration for this weeks challenge. 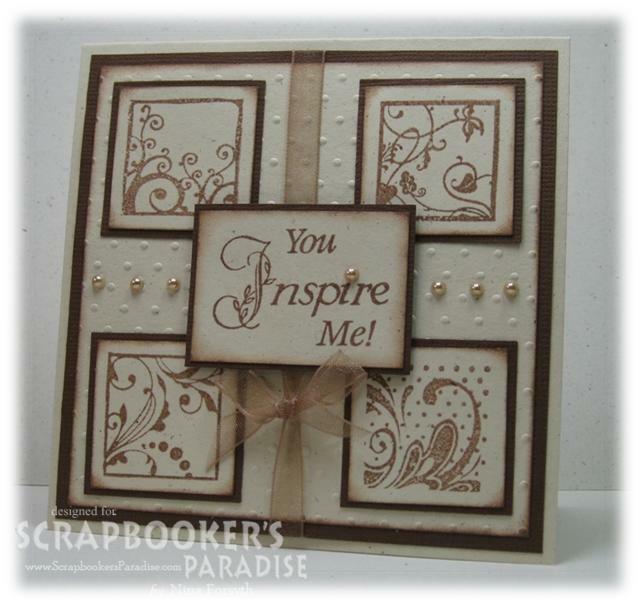 Cream and brown cardstock, Inkadinkado-Flourishes, Inspired by Stamping-Heartfelt Gratitude,misc ribbon and Recollections pearls. 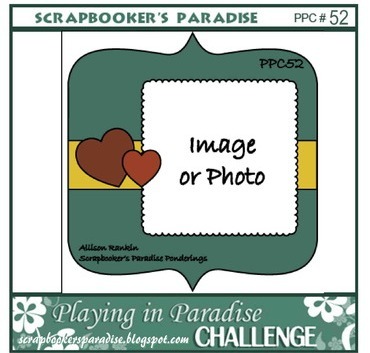 Please stop by the Playing in Paradise blog to see what the design team members have created and to play along. 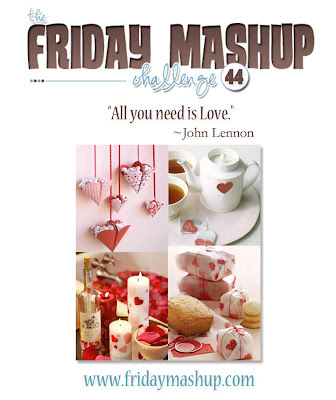 Good Evening all - a short post this evening for the current Friday Mashup challenge. I wanted a vintage style pram for my card, and found a fabulous digital stamp at Designed2delight and coloured it with my Tombow markers. I thought these buttons might also pass for vintage as well. 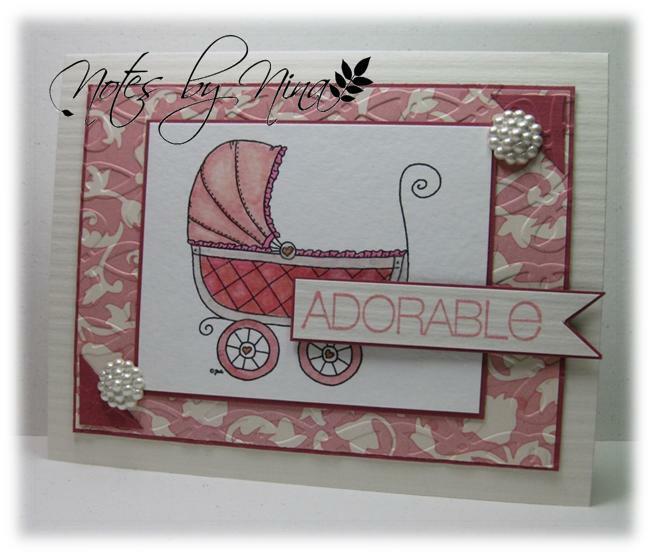 Supplies: Cream and pink cardstock, Designer Paper- DCWV, Designed2delight-Baby Buggy, Fiskars- New Baby, misc buttons. A quick second post tonight for the new Merry Monday sketch challenge on Always Playing with Paper. Lesley has another fabulous sketch for us. 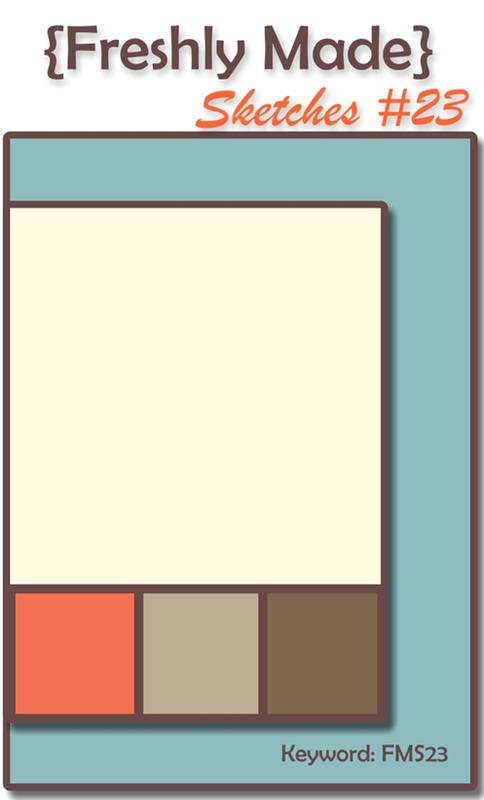 I decided to try clean and simple for this card. 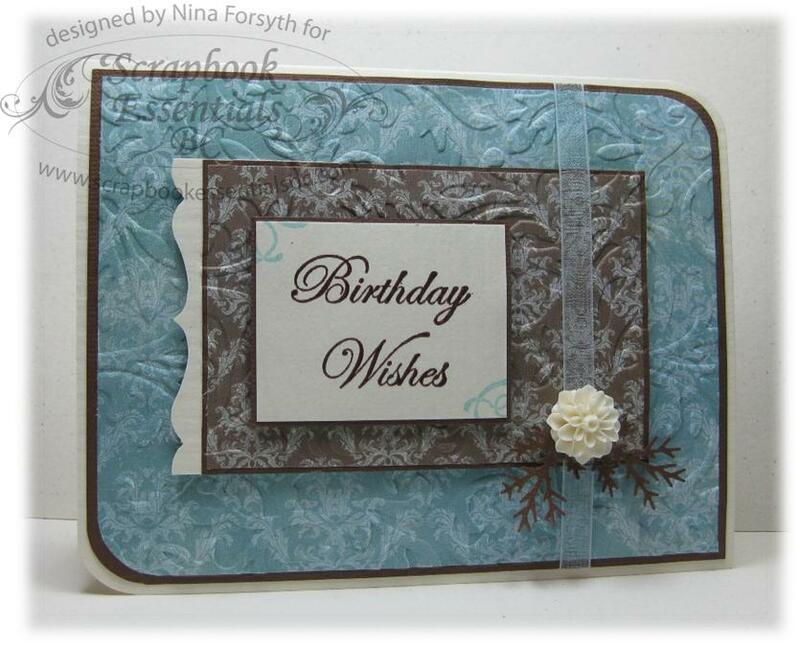 The centre focal and sentiment are popped up with foam tape. 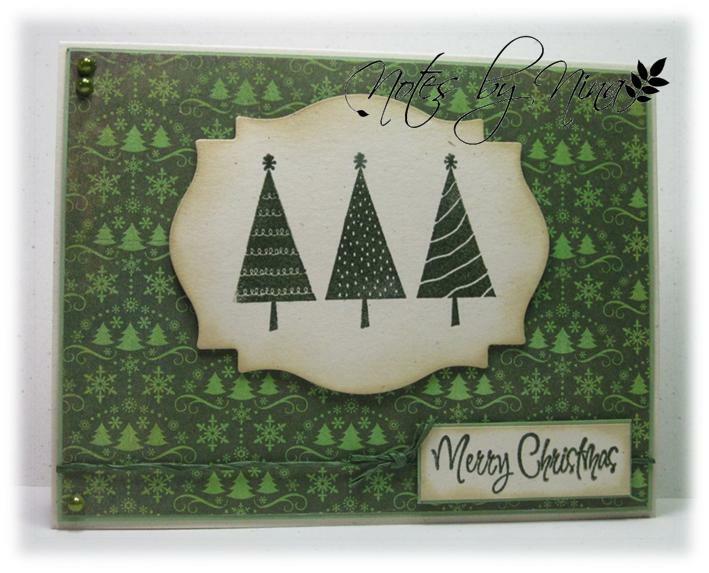 Supplies: Natural Ivory and green cardstock, Designer Paper-Basic Grey, Recollections-Merry Merry, misc twine and pearls. A quick post this morning for the current ISpy Sketch. 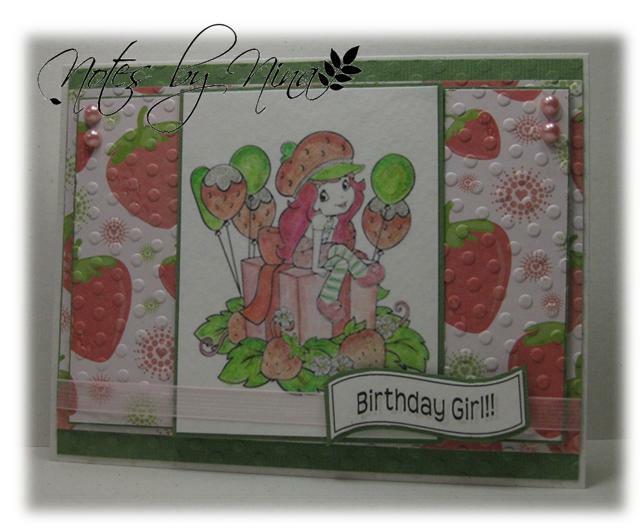 I love this sketch﻿, this card came together quickly and I am happy with it. 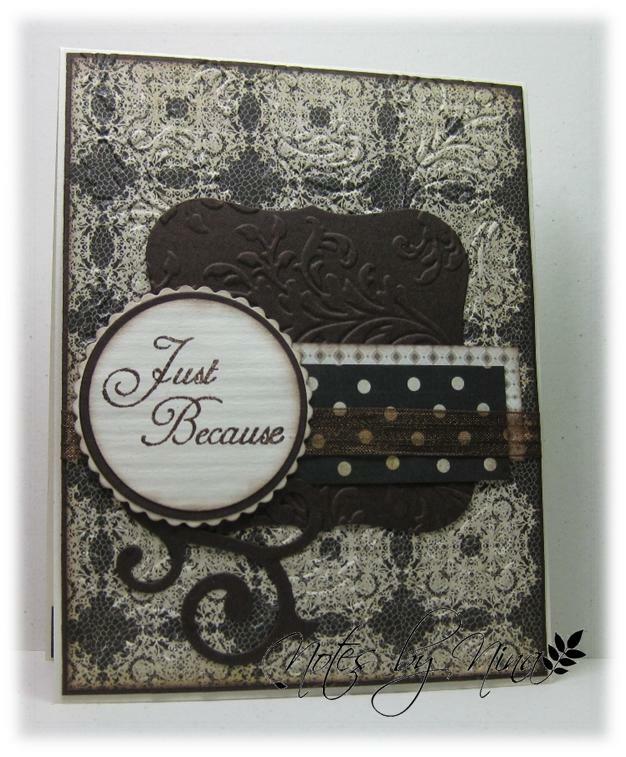 I added lots of texture, heat embossed the sentiment and added a little foam tape to pop it up. 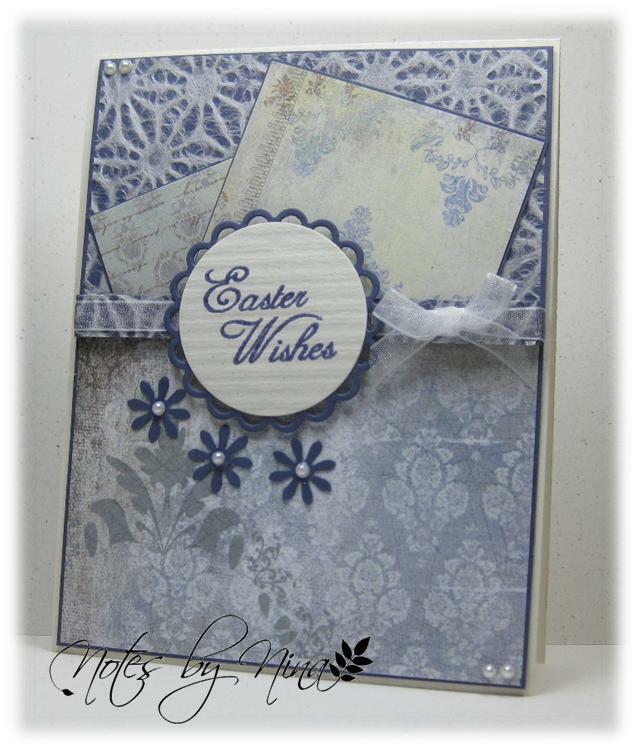 Supplies: Natural Ivory and blue cardstock, Designer Paper-Basic Grey, Inspired by Stamping-All Year Wish II, Spellbinders diecuts, misc embossing folders and pearls. Good Afternoon, I sat down to some card supplies this morning. I have not felt the least bit inspired over the last week and in fact enjoyed reading The Hunger Games Series instead... yup all three books since Thursday morning. So today I cleaned up the residual mess I had on my table to start with a clean slate to created and it felt fabulous. 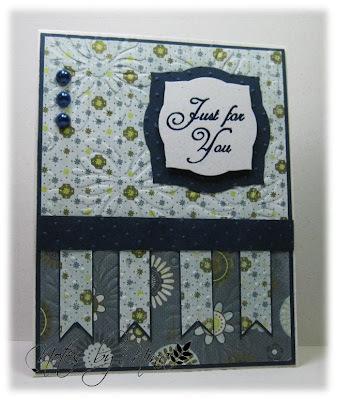 The first card is for the current Freshly Made Sketches challenge, I did start this card yesterday but I am not all that happy with it.. maybe it is the colour. All that pink cannot be good, but have you looked at a picture of Strawberry Shortcut lately... everything is pink with some green tossed in here and there. 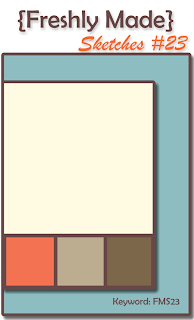 I was a stretch for me to find enough shades to colour with to make this image work. My colouring job is not the best either, my printer ink does not hold up were well to water colouring I did not get to blend as much as I wanted. Supplies: Natural Ivory and green cardstock, Designer Paper-DCWV, Strawberry Shortcake image- Strawberryshortcut.com, embossing folders, misc ribbon and pearls. 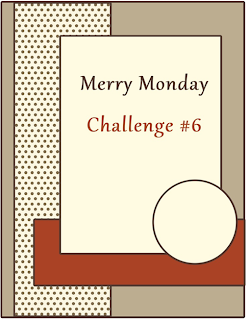 The second card is for Mojo Monday, I think am cutting it pretty close time wise with both of these challenges. 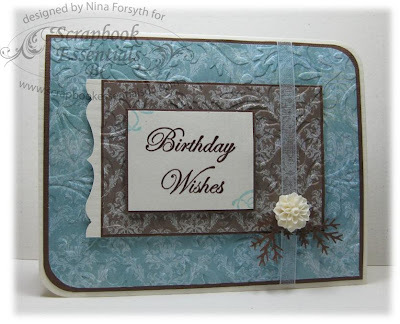 Supplies: Cream and brown cardstock, Designer Paper-Basic Grey, Inspired by Stamping-All Year Wishes II, Sizzix Die cuts, embossing folders, misc ribbon. Happy Friday, a quick post today for the new Playing in Paradise Challlenge. This week the challenge is to use Stitching Real or Faux. Stop by the Playing in Paradise blog to see the fabulous design team creations. Supplies: Natural Ivory and brown cardstock, Designer Paper - Basic Grey, TPC-Cardmaking-Happy Birthday, Making Memories buckle, Candy Dots, misc ribbon. 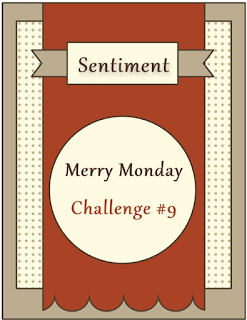 Super quick post for the new Merry Monday Challenge. 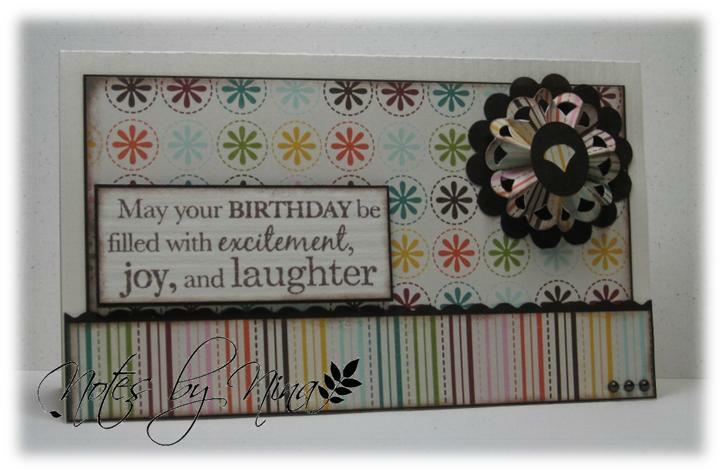 Supplies: Natural white and green cardstock, Designer Paper-Basic Grey, K&Company- rub on with gems. 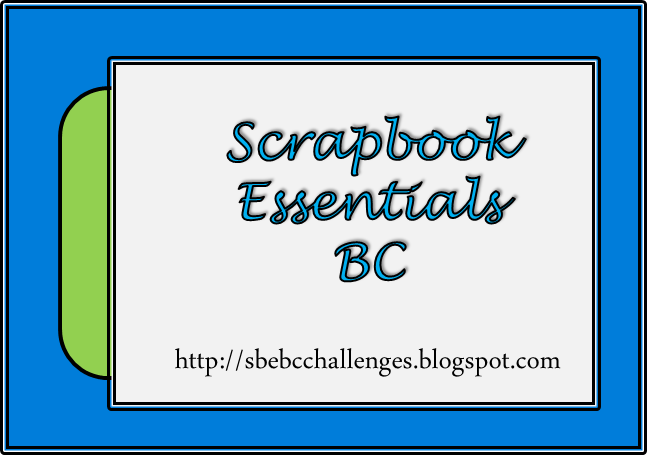 It is time for another Challenge with Scrapbook Essential BC. Take a peek at this fabulous sketch. 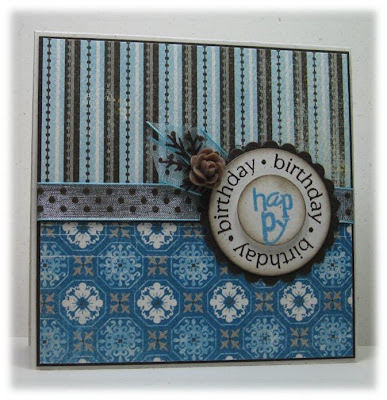 My Mojo seems to have taken a hike, for the first time in a long time I am not feeling the least bit crafty and have not been spending a lot of time with my cardmaking supplies. 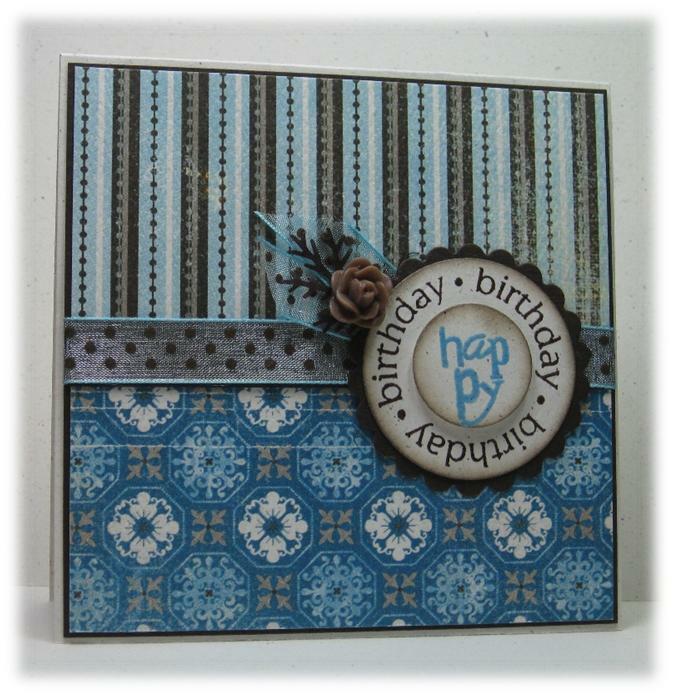 For this card I used an embossing folder to try to match the DP print. I added foam tape to the layers to add dimension and finished with this gorgeous resin flower. 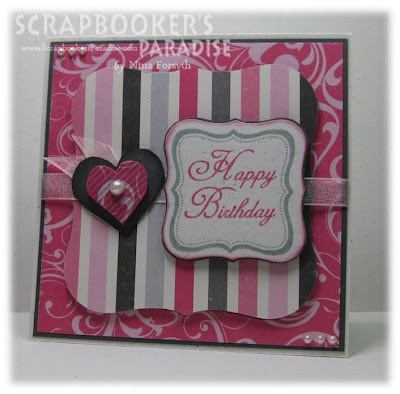 Please stop by the Scrapbook Essential BC online store to see the fabulous items available, the following supplies used on this card are available - Bo Bunny designer paper, resin flower and stamps. 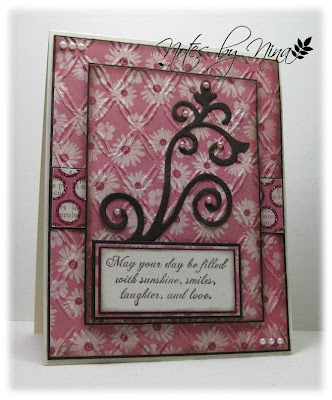 Take a look at the Essential Sketches blog for the Design Team card samples and to add your card to the challenge. 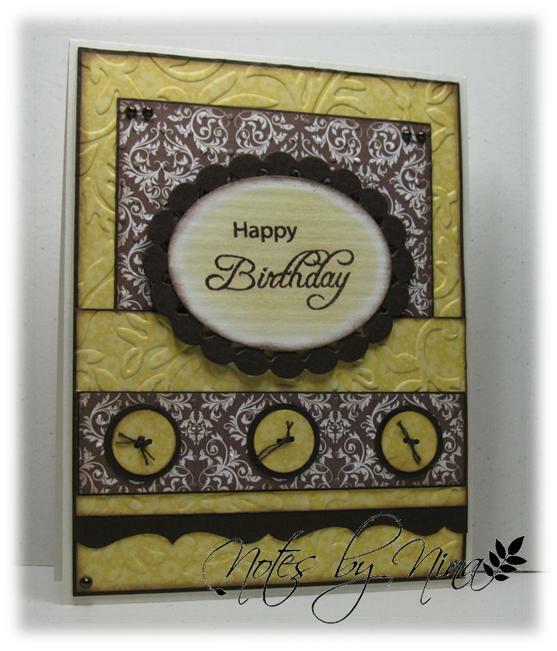 Supplies: Cream and brown cardstock, Designer Paper - Bo Bunny, Essential Stamps-Whimsical Bird, , misc punches and ribbon, resin flower, Cuttlebug embossing folder. 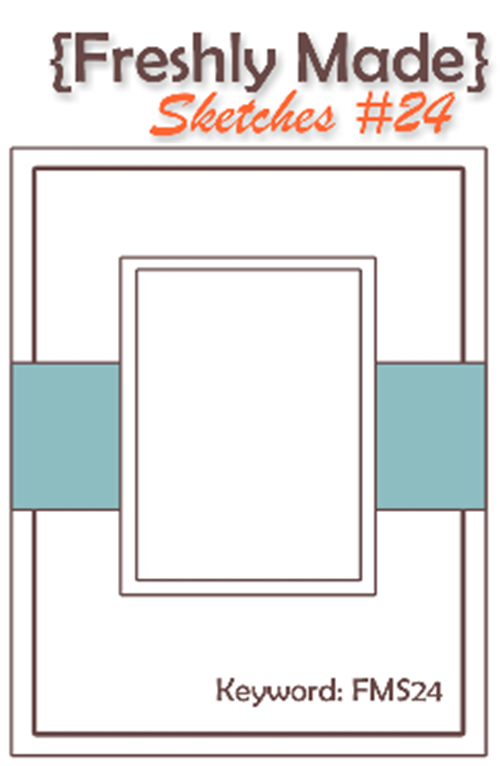 I created this card for a challenge but I am not overly happy with as it feel likes it needs a little something else but I can’t figure it out. The challenge required stiching which I have not managed to really do successfully, so this will be a redo in some other form :). 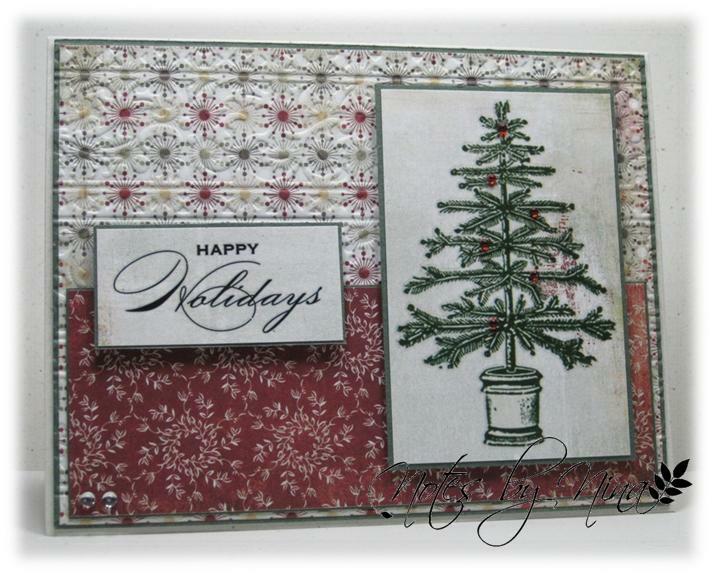 I heat embossed the sentiment with black in and red embossing tinsel and added some texture to the upper panel. 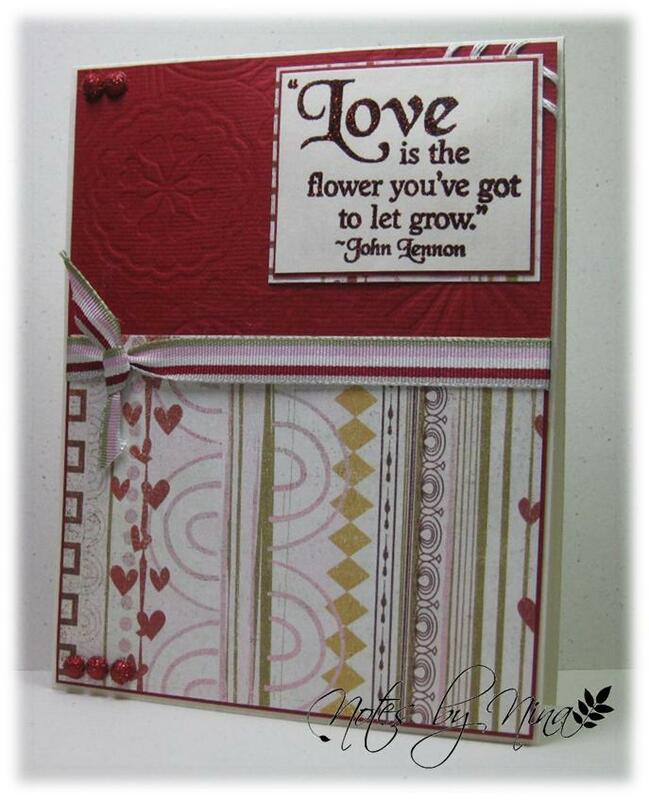 Supplies: Red cardstock, Designer Paper-Basic Grey, Inspired by Stamping-Sweet Valentine's, embossing folders, Ranger embossing tinsel, misc ribbon, glitter dome. 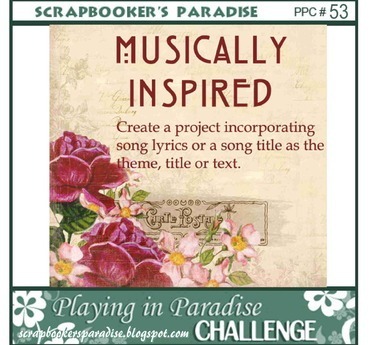 This week’s challenge for Playing in Paradise is Musically Inspired, my card was inspired Judy Garland singing - Get Happy. 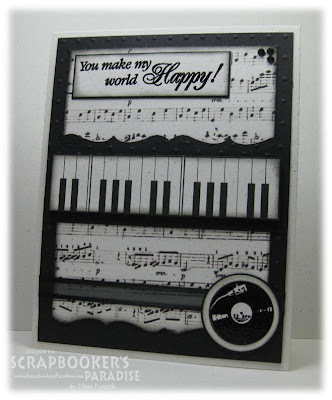 Although I don't think this song has any piano playing in it, this is what came to mind when I was making the card. You can listen to this song on You tube Here. Someone is bound to notice that my piano keys are upside down, they have since been turned around but I did not take another picture of the card so you will just have imagine it in your mind :). I had this music sheet printed off and in my scraps and the piano keys were random clip art printed twice and cut out and popped up with foam tape. The record was heat embossing in black then layered on circle punches. 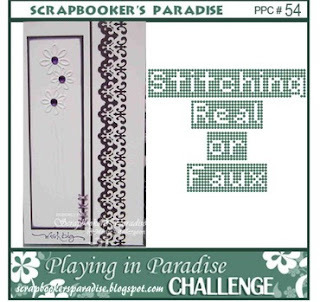 Stop by the Playing in Paradise blog to see what the design team members have created for this challenge. Supplies: Natural white and black cardstock, Sheet music and piano keys - Internet, Inspired by Stamping-Heartfelt Gratitude, Inkadinkado - Music Inchie, misc ribbon, embossing folders and punches, Kaisercraft gems. 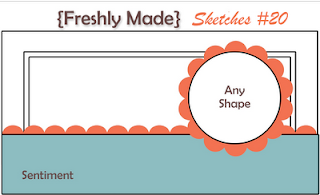 I received my new stamp set from the Stamp of Life today, perfect to the new Freshly Made Sketches Challenge. I heat embossed the umbrella with dark green ink and clear embossing powder then cut it out and popped it up with foam tape. I paper pieced the center piece and also added foam tape for an additional layer. I finished with a few gems and stamped raindrops that were coloured with a Clear Star gelly roller for added sparkle. 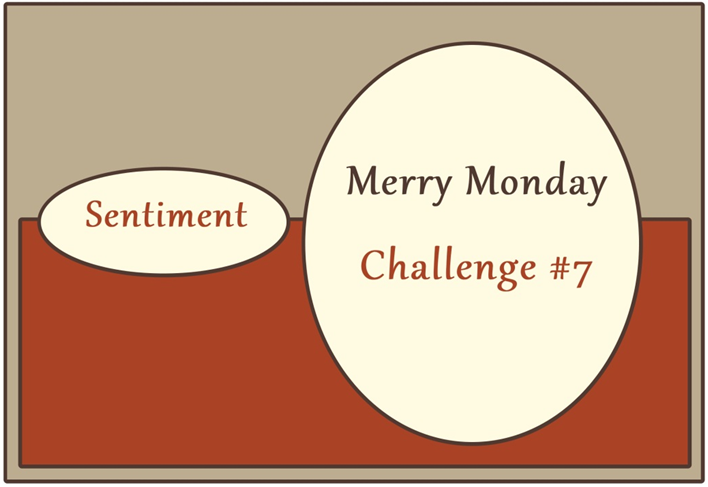 A quick post this evening for the current Mojo Monday Sketch Challenge. I have been under the weather the last couple of days so I have not been feeling all that creative. 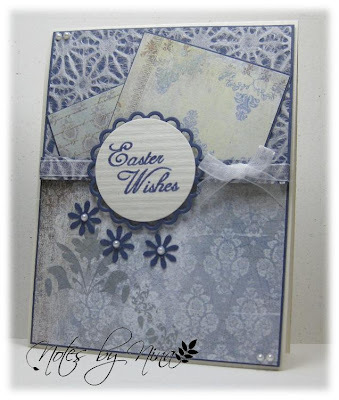 I thought I would get a head start on Easter cards, I had some left over lacey mulberry and used for the top portion of the card the rest is all Memory Box from my stash. Supplies: Cream and purple cardstock, Designer Paper- Memory Box and Mulberry, Inspired by Stamping-All Year Wishes II, Spellbinders Nestabilities, misc flower punches, Recollections-Pearls, misc ribbon. Another week and another fabulous Merry Monday Sketch by Lesley over at Always Playing with Paper. 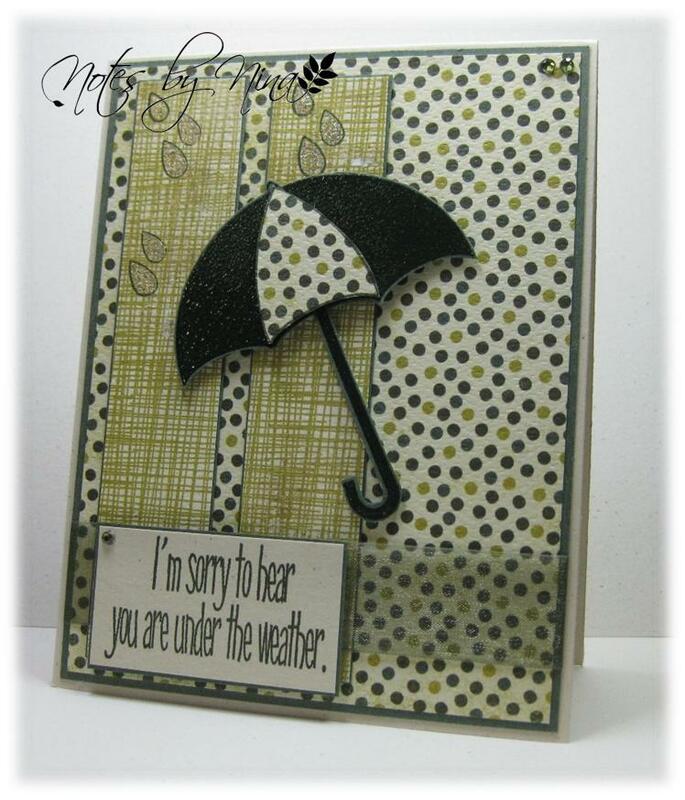 I am excited to be a guest designer this week. I love this head start we are getting on Christmas cards. I stuggled with this sketch for some reason, this is try number three. I totally blame it on missing mojo, fortunately mojo returned and this particular card came easily. I love this paper, and will admit to maybe over using it a might to often this past season. Come next Christmas no one will remember (hopefully). Most of the card is simple layers, the stocking took the most time as I used a Versamark pen to outline the sections for the embossing tinsel and it needed several layers to cover it correctly. Stop on by Always Playing with Paper to play along and leave a comment for Lesley. 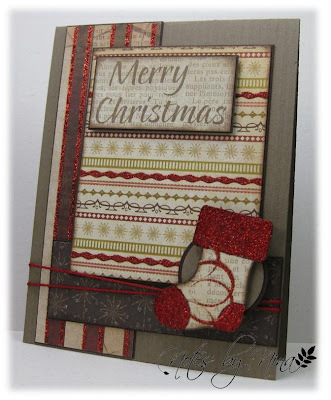 Supplies: Dark kraft and brown cardstock, Designer Paper-My Mind's Eye, The Stamps of Life-Christmas2build, circle punches, misc twine, Ranger Embossing tinsel. I did manage to mash it up, I used the tea pot from the inspiration picture and came close to the colors of red, pink and white. I used the sketch from the current Clean and Simple stamping challenge, although I did make it a little more complicated by cutting each of the tea cups out and paper piecing the hearts. 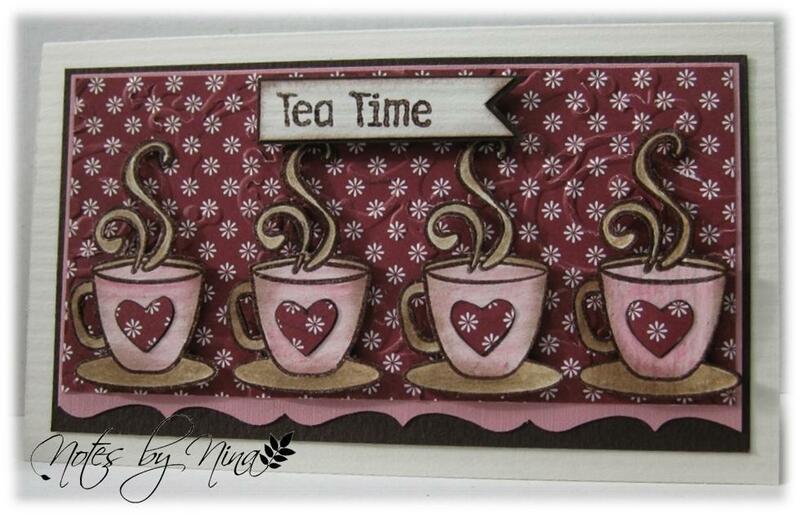 Each cup with steam as well as the sentiment are popped up with foam tape. 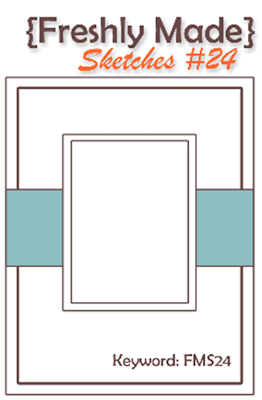 Supplies: Cream and brown cardstock, Designer Paper - Echo Park, Fiskars-Latte Love, TPC-Coffee Cafe, misc punches and embossing folders. It looks like it is going to be another gorgeous day outside my window. 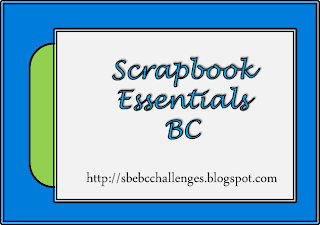 I had some wonderful craft time last evening, so I have been trying to catch up on some challenges after a busy week. 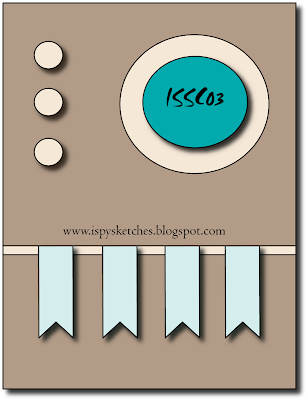 Today card is for the current Freshly Made Sketches. 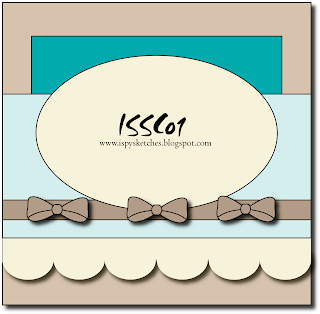 Supplies: Cream and brown cardstock, Designer Paper - Echo Park, Fiskars-Birthday Cheer, Cricut-Ribbons and Rosettes, Recollections-pearls. I might be back a little later, I think I might try another card while I wait for the frost to melt before heading out doors. Whimpy huh :). A quick second post today for the new challenge Spy Sketches #1. 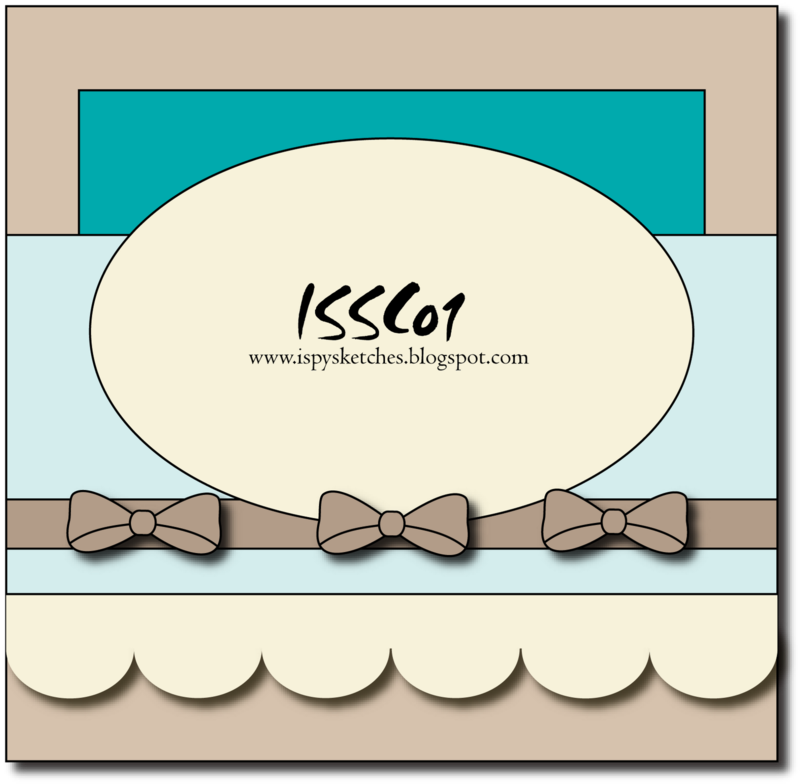 I love the idea of this new challenge, pop on over to the ISpy blog to see all the information http://ispysketches.blogspot.com/. 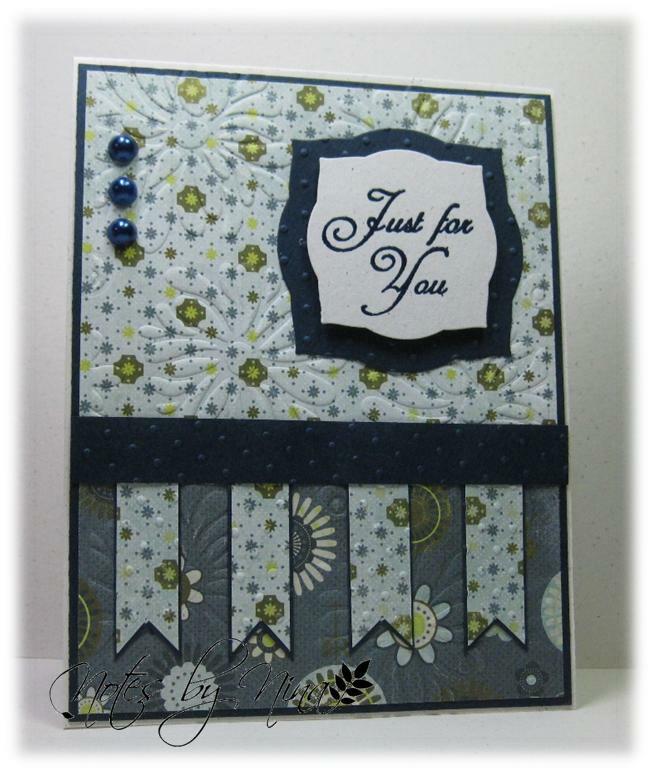 Lots of layers and texture for this card. I finished with a few punched circles made into buttons. Supplies: Cream and brown cardstock, Designer Paper - Jillibean Soup, Inspired by Stamping-The Sky's the Limit, Spellbinders Nestabilities, misc embossing folders and punches. Recollections pearls. Happy Anniversary... you know who you are. Have a fabulous romantic weekend. Simple layers with lots of embossing. Supplies: Cream and brown cardstock, Inspired by Stamping - All Year Wishes II, Spellbinders Nestabilites,Craft Concepts emabossing folder, Kaisercraft pearls. A quick Friday morning post for today new Playing in Paradise challenge. Allison is hosting this week and created a fabulous sketch for us. My cards are all over the place this week, masculine cards earlier and now a hot pink which is really different for me but.. I like it. 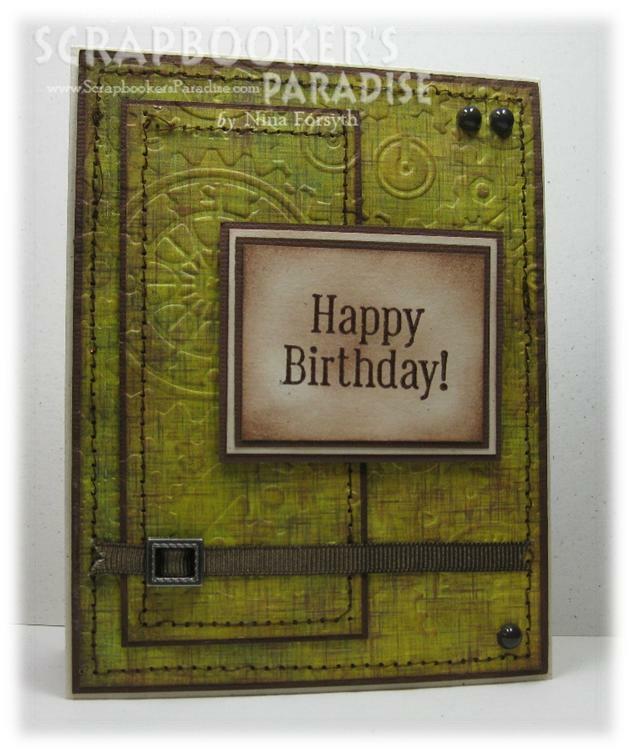 I used my Spellbinders to cut the large shape out of the background paper then flipped it over and popped it up with foam tape. I did the same with the sentiment and hearts. 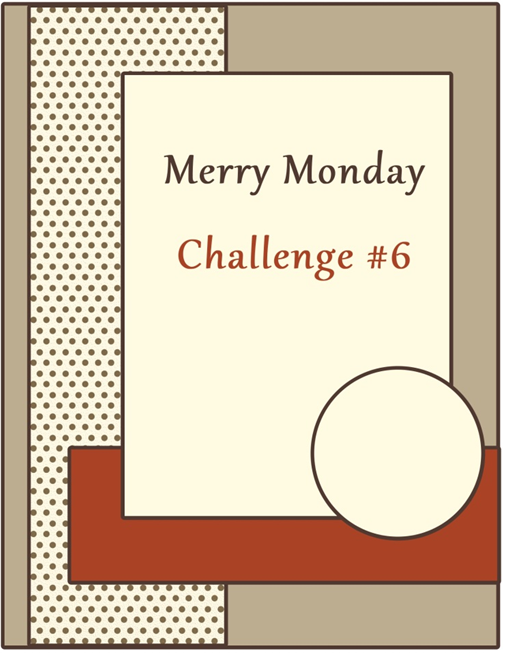 Please take a few minutes to visit the challenge blog to see what the other team members have created. 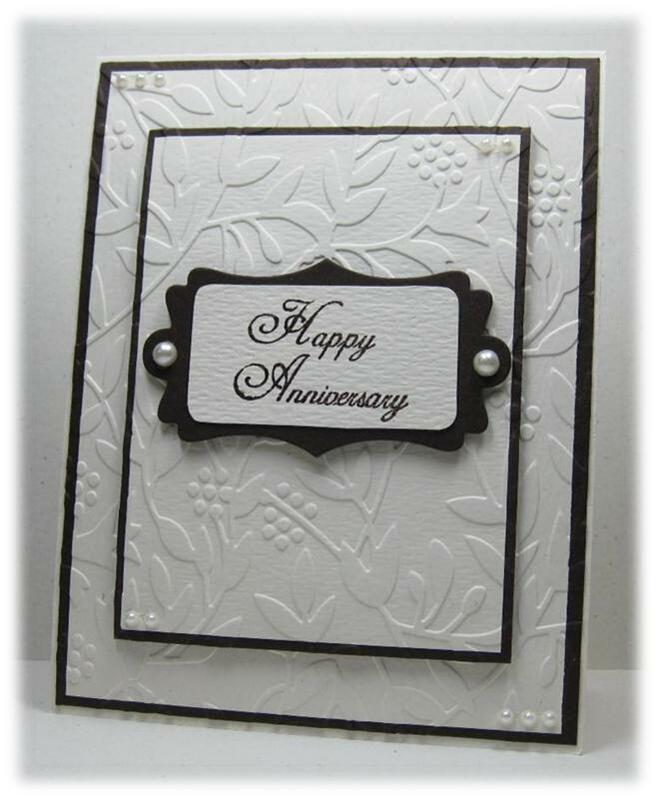 Supplies: Natural white and brown cardstock, Designer Paper-Echo Park, The Stamps of Life-love2hug and Monogram2build, Inspired by Stamping-All Year Wishes, Spellbinders Nestabilites, misc ribbon and pearls. It has been a long time since I have played along with the Cardabilites Challenge but I love this clean sketch. I decided to do a masculine card, I have wanted to use my Bo Bunny-et cetera for a while and though this would be a great card for it. I added texture to both layers, and used a punch for the borders. The clock has three layers with the top two popped up with foam tape. 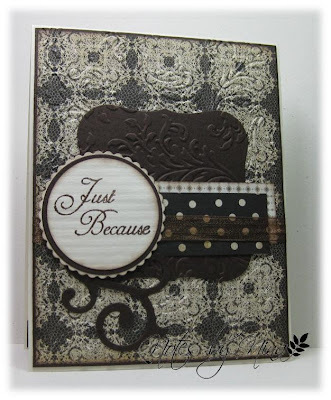 Supplies: Natural Ivory and brown cardstock, Designer Paper-Bo Bunny, Hot of the Press- Mix your Messages, Recollections-About Time, Cuttlebug embossing folders, misc punch and gems. Good Morning all, I am sneaking in a post before I head of to work. I made this card for the current Mojo Monday. ﻿﻿I really like this sketch and I think I will use this over and over. 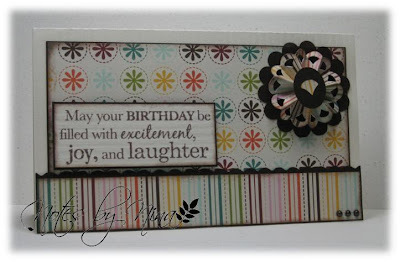 I popped the center section of the sentiment on foam tape. I finished by added a little bit of ribbon over layed with a branch and rose. 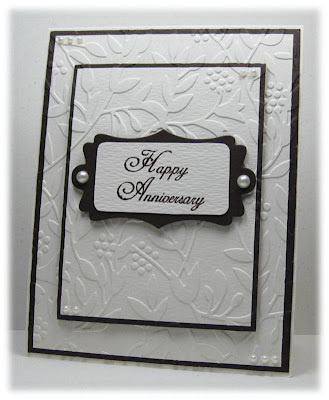 Supplies: Natural white and brown cardstock, Designer Paper-Authentique, The Stamps of Life-happy2becircles, Spellbinders Nestabilites, Martha Stewart punches, Recollections roses, misc ribbon.